With more than 3,000 attendees from eighteen countries, the Creating Impact workshop is easily the most popular workshop I facilitate. The program is a hybrid of three elements: Content (What are you trying to say? ), Delivery (What will help you say it?) and Technique (How will you say it?). A day-long workshop, Creating Impact begins and ends with filming the participants and providing feedback on their Technique. The middle sections focus on constructing the right presentation and building the right slides to match the messages. The highlight of the program are the before-and-after slides from an archive of more than 500 examples from actual presentations, using simple modifications that an average PowerPoint user can perform. All participants receive their video at the end of the workshop along with a personalised action plan specific to their skills. Anyone who wants to deliver more confident, credible and persuasive presentations. The workshop is useful for people giving presentations to large audiences in conference centres, in auditoriums or theatres or to small audiences in typical meeting rooms. Participants must have a basic command of using PowerPoint or Keynote. Content – how to develop, organise and write a coherent business document in PowerPoint or Keynote. Delivery – how to create effective slides, based on the principles of visual communications. Technique – how to use nonverbal communications to deliver messages to the audience. Content – including defining objectives, using context, understanding the audience’s mindset, crafting messages, asking for specific action and handling Q&A with the audience. Delivery – including choosing visual aids, managing hand-outs, using PowerPoint most effectively, using colour and images, and rehearsing the presentation. 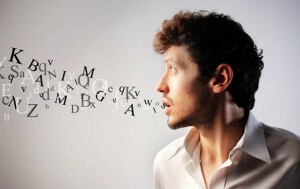 Technique – including using the body, eye contact, voice, and gestures to convey personality and passion – as well using notes, presenting by conference calls, and managing nervousness and fear. This workshop is always adapted to suit the participant’s organization, culture, industry or business environment. All participants select one presentation they have recently used – or plan to present in the near future – as the example for all of the workshop’s exercises. Depending upon the time availability and the organisation’s needs, the presentations should be sent in advance for the facilitator to evaluate and make specific comments to improve the document’s effectiveness. The training should be conducted in a setting condusive to the training requirements. If the audience typically delivers presentations in a conference room, we’d need a large room able to accommodate all of the participants and the camera equipment. For training of presentations to large-scale events – such as a conference – it’s preferable to use the actual facility immediately prior to the occasion. Because of the amount of training content and the time it takes to film and critique each participant to provide specific feedback, the maximum number of participants is 10 and the minimum is 6. This is a full-day workshop only. For a half-day module, please check out our Presentation Skills workshop focusing exclusively on Technique. Please use the form below to contact me for more information about the workshop, to discuss how it might conducted or adapted to suit your participants, or to receive more detailed information, such as a sample agenda or initial estimate. You might also check out my page on Engagement Logistics. Please contact me by e-mail if you would like more information about the workshop, to discuss how it might be adapted to suit your participants or industry, or to receive a sample agenda.